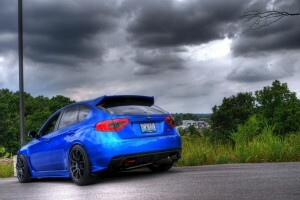 I’d be willing to bet 90% of the people who read this blog know the car I’m about to feature. It isn’t one of those cars that’s known because it has 11ty billion dollars worth of body work or a huge stereo. 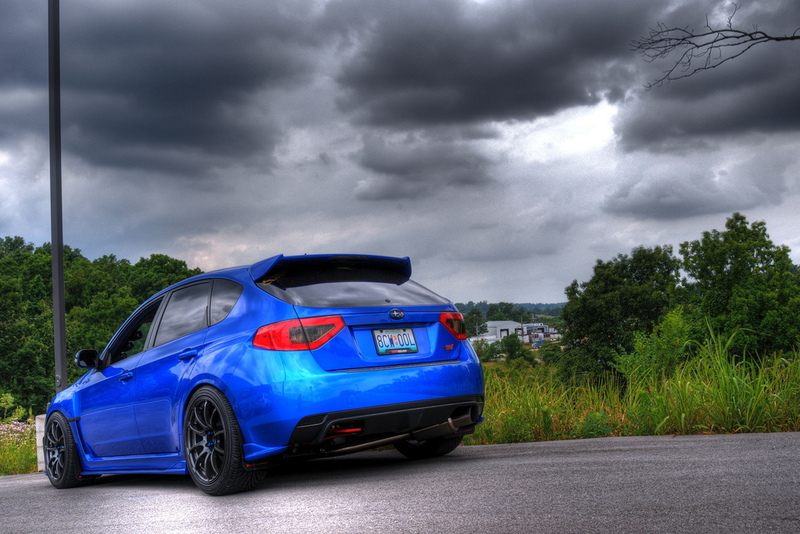 This car is known because the car is a subtle well built 2005 Subaru Impreza WRX STI with all the right parts. Dan began doing HPDE events in 2004, right after he bought his STi. A family friend suggested that Dan and his dad sign up for an event at VIR. No question, Dan was hooked. The magic delievery person dropped off Two boxes from the Famous TiC. I had gotten an email from Clint saying they shipped and I was anxiously waiting for my TiC SSTs. They only took 3 days to get here! For those not familiar with the Turn In Concept spec AST Coilover system here are some teaser photos until I get everything assembled. 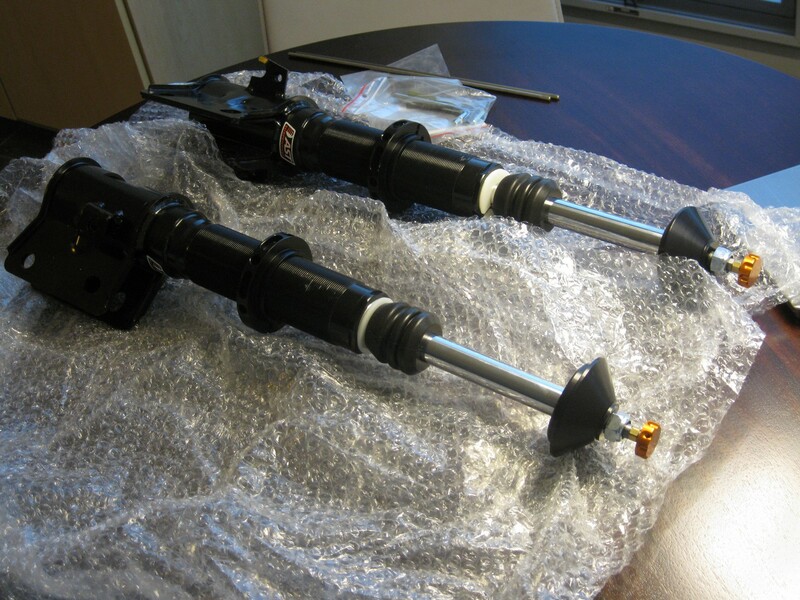 TiC’s Strut assemblies are made by AST to TiC SST specifications. TiC offers their coilovers with Swift Main Springs, Swift Helper Springs, and Swift Thrust Washers. I chose to go with the Vorshlag Camber Plates front and rear as well. They also come with a very detailed document on the assembly and care of your new suspension (rare to find that now-a-days). This specific set of TiC SSTs runs the same setup as their Time Attack winning WRX with stiffer and shorter Swift Springs. I’ll be running 9k front and 8k rear, both front and rear are 6″ Springs. Once Clint & Tony knew the ride height and planned use for the suspension we custom tailored the spring choice to meet my needs. Â Thank you again Clint and Tony!